Concerts, art exhibitions, flea markets and more! 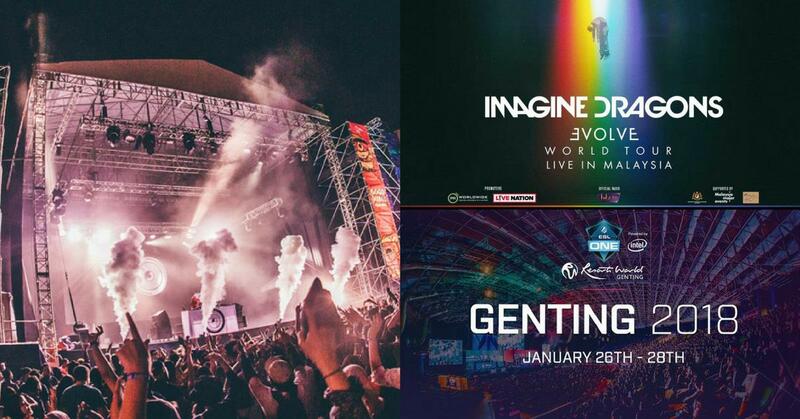 It’s time to organize your schedule around these exciting events which will be taking place here in Kuala Lumpur. Organized by PR Worldwide and Live Nation, the Grammy award winning band will be making their way to Malaysia for The Evolve Tour! It is a one-day symposium that brings together a multidisciplinary group of scholars from across the region to examine modern architecture and its relationship to the city. Speakers include Thanavi Chotpradit (Silpakorn University, Bangkok), Roger Nelson (NTU, Singapore), Chang Jiat Hwee (NUS, Singapore) and Shirley Surya (M+, Hong Kong). The first ever Malaysian Dota 2 Minor that plays an important role to teams and players in their hunt for Pro Circuit points. Teams and players from all over the world compete in an eSport tournament unlike any other! Fill your weekends with colors! Back with more Instagramable spaces, it features new themes and spaces that are decked out in colors that will bring you delight and amaze you tremendously. Taking you back to the 1920s, it allows you experience a world of sensory delights. Get ready for the Great Gatsby era with new themes and spaces for your Instagram shots. Put your pinky rings up to the moon as the one and only Bruno Mars is making his way to Malaysia for his 24K Magic World Tour. Unfortunately, tickets were sold out long time ago! Pop-up stores, food, creative workshops, showcases and performances, the famous Riuh is back with bigger and better monthly affairs! Admission: FREE but bring sufficient cash for shopping and food! Ya’ll know what is it. Although no official date has been released yet, it is said that LANY will be one of the acts for 2018’s GVF. Need I say more? Will you be attending any of these events?